I recently took a trip to New York and saw the Broadway show Wicked. It was completely life-changing. I know what you’re thinking; “Yeah, yeah, whatever. It’s just a Broadway show. Chill out.” But you don’t know what it’s like growing up for 25 years thinking one way, and then in a single night, at a Broadway show, your whole perspective shifts. If you don’t know the story of Wicked, let me give you a just a little backstory. It’s the other story of the Wizard of Oz, you know, before it actually happened. Long story short, the Wicked Witch of the West? She was actually GOOD. Completely misunderstood. And those scary monkeys? They were turned into scary monkeys against their will. It made me feel so guilty for all of those years as a kid that I held this terrible prejudice against the witch and all of her creepy AF little monkeys when really Glinda the good witch wasn’t all she was cracked up to be, either. What does this all have to do with inbound marketing strategy? Well, it got me thinking. If I had been this blind about something as simple as a beloved childhood story, what else had I been looking at from a completely skewed perspective? And then I connected it to digital marketing and thought, hey, the people need to know this. So I’m telling the people (yeah, you) what I’ve discovered. 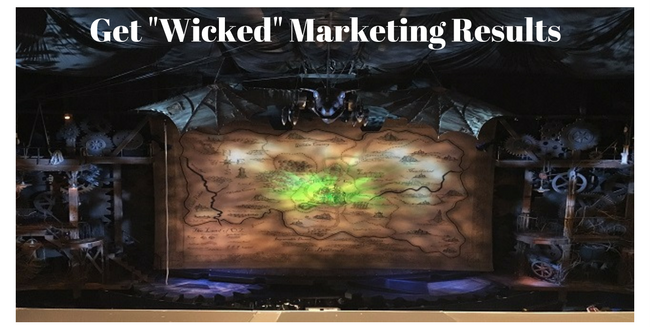 Much like my paradigm shifting after I saw Wicked and I could see the entire story of the Wizard of Oz from a completely different perspective, I realized it becomes necessary to shift your paradigm throughout a marketing campaign, too. If you can shift your paradigm regarding your campaign as a whole, you will become more effective and more agile, and you will change your results. Oh, and did I mention that those results will be magnificent? Ah, yes, that’s what we all really care about, after all, isn’t it? As marketers, or executives, or directors, whatever hat you’re wearing, we’re responsible for results. It comes down to the simple truth of whether what we’re doing is working or not. And when something can seem so black and white as results can, it’s even more important to not take a black and white approach to it, and that’s what shifting your paradigm is all about. If something isn’t working, why would you keep doing it? When you take the same approach over and over during a campaign, how can you expect different results? Instead of getting stuck on the proverbial hamster wheel, let’s dig in and take a different approach, and we’re bound to get different results. Touché. 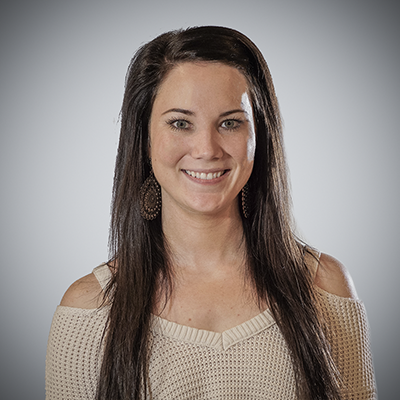 But, nevertheless, I do have some experience with this whole marketing thing, so here are some key elements to consider from a strategic perspective during a digital marketing campaign. You’ll need to take a closer look at these key elements, determine what your current paradigm is, and then consider what the implications would be (good or bad) if you took a different approach. For starters, it’s important to set true SMART goals and determine what key metrics are most important to your campaign from the start. When you do so correctly, you’ll have a clear direction and perspective from the beginning, which will completely dictate your campaign activity depending on what your focus is going to be. If you care more about increasing traffic, the activities you focus on will be completely different than if you care more about, say, establishing awareness for your brand. However, keep in mind, if you’re tracking only one key metric, the other metrics won’t even be on your radar and, at the moment in your campaign when you desperately need to turn things around, you may not even realize that big gaping hole in your overall strategy because you’ve been so focused on that one-track. Because of this, it’s important to try to get it right from the start. In reality, I know this doesn’t always happen, and that’s why it’s important to have the ability to change your perspective and change direction quickly. It can be hard to move away from something you’ve become so invested in and you really thought was going to work, but it’s necessary to be able to let go and completely change the way you were approaching a campaign if this does happen. Based on your key metrics and SMART goals, you’ll prioritize the campaign activities your team will focus their time on to achieve the desired results. Again, it’s easy for you or your team to get stuck in a perpetual cycle of producing blog content, promoting on social, and sending emails that you can get too comfortable and not really think about the why. At this point in the campaign, it’s important to put yourself in your target customer’s shoes; why should I care about this email? What should this email do? What will this blog post achieve? If I was reading this, would I do x, y, z? Shifting your paradigm from a marketer or director perspective to a qualified buyer’s perspective will do wonders for your campaign. You may have an AHA! moment where you realize that your target audience doesn’t even read blog posts. Maybe you need to take your team’s focus off of writing blog content for a while and put more emphasis on a different activity that will be more meaningful and better align with achieving your SMART goals (even though everyone else is blogging so you think you should be, too). Analyzing the results from your ongoing activity is often the trickiest aspect of a campaign and many don’t even realize they have a skewed perspective when doing so. From your marketing team’s perspective, you may think you killed results. You see an increase in traffic, and increase in leads, and all of your numbers across the board are trending upwards. From the CEO’s perspective, how did you affect the bottom line? Well, we spent X amount of the company’s budget on marketing, and saw no new customers directly attributed to marketing this year. Looks like we’re putting our resources in the wrong area of the business, huh? It doesn’t look so good from the CEO’s perspective because they don’t care about the same things that marketers care about. In order to effectively make your case to the executive team or even the board of directors, you need to analyze results from their perspective and be proactive in your campaign activity in anticipation of the results that they would like to see. Shifting your paradigm completely in these key areas of a campaign isn’t easy, and it takes a lot of practice. If you’re aware of the problem, though, and realize that there are other perspectives and other ways of doing things out there, you’re already halfway there. You need to consciously check in on a consistent basis to see where you can make changes and where you may be getting tunnel-vision in a campaign. Luckily, you don’t have to do it alone. With a bright team of strategic marketing partners to bounce ideas off of, you can get different perspectives on the problem at hand and come up with a new solution you may have never considered before. And, eventually, you’ll start shifting the way you think, too. PS – go see Wicked, it’s the bomb.